Avon Industries has the capability to ensure industrial strength protective coatings for all your steel products, including chain, anchors, trailers, handrails and other requiring centrifuge application. Basically, if it's all steel, we can Galvanize it. Lifting capacity of up to 6 tonne per unit available. With a fully enclosed 6.7M long x 1.2M wide x 2M deep bath and able to schedule double dipping, lengths up to 12M are possible. An inquiry chart to determine whether or not your part could fit can be viewed below. Recipients of the 2003 Sorel Award for galvanizing process. 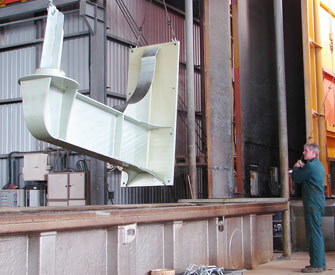 Galvanizing includes double dipping when required. 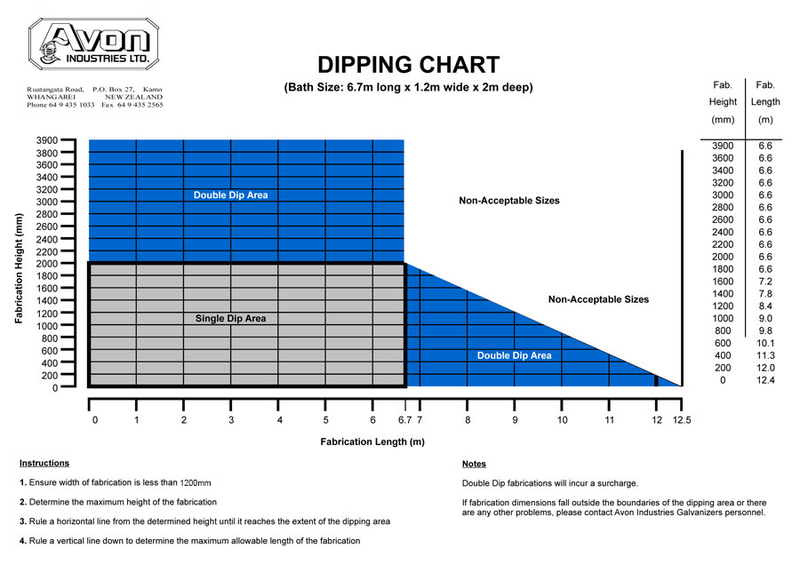 See below for measurement restrictions.